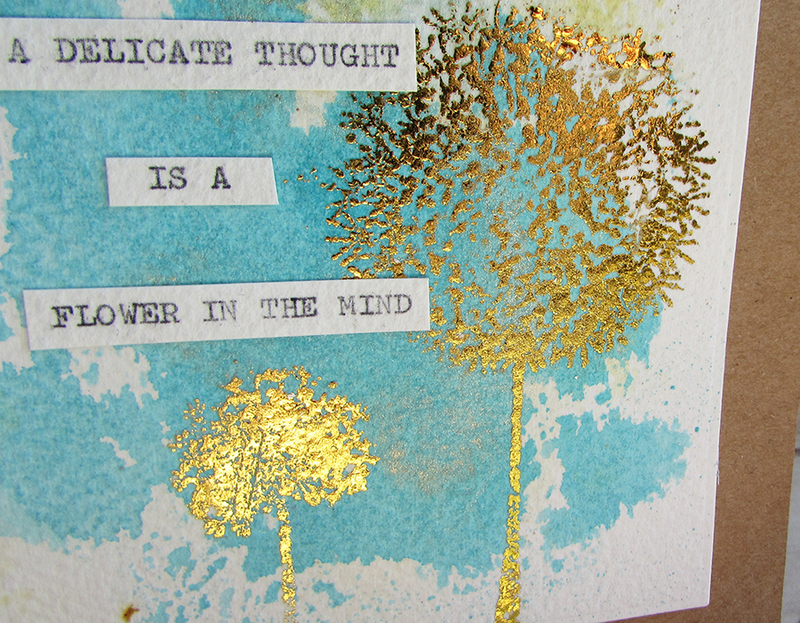 I don't know about you but during this month of foiling, I've certainly learned a lot! There are so many different ways to apply Fab Foils and so many different finishes to be created. I think for me, it's the abstract ways I can incorporate them into my backgrounds and the subtle finishes I can achieve which I find the most interesting. 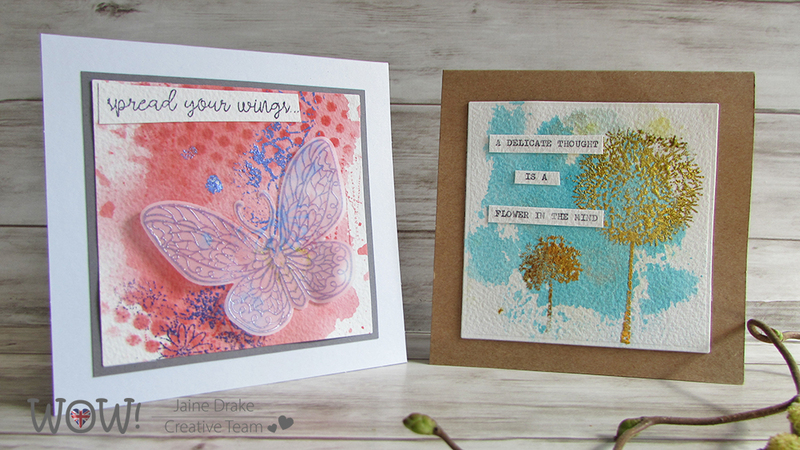 These two cards came about after some experimenting with a few backgrounds already on my worktable. The watercolour/inky backgrounds were created on textured watercolour paper so I knew I wouldn't be able to get a nice perfect impression from a stamp. The dandelion card came out better than I first thought it would but still the impression is less than even. I don't mind that at all and decided as an accent over the turquoise it would be so cool. For the second card, I thought that seeing as I wasn't going to get an even impression on the textured card base, I would stamp the flowers background stamp, only randomly in parts. To make this even more random I didn't use an acrylic block to hold the stamp. 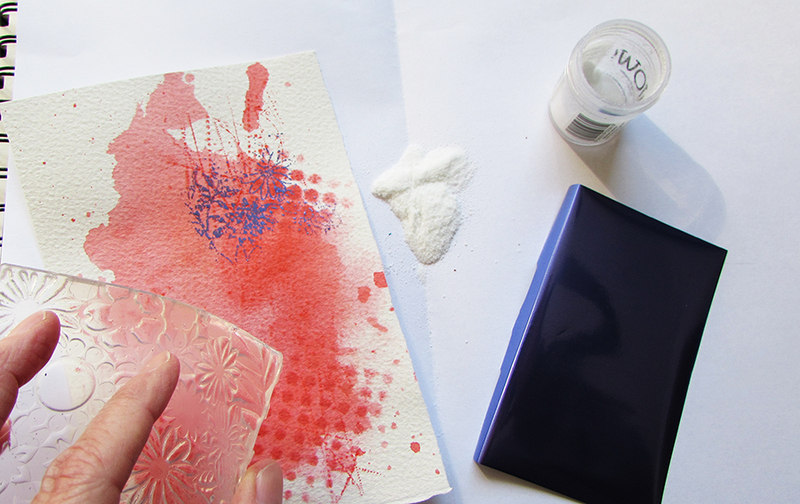 I love the shiny foil over the watercolour background, it just adds a little pop of colour. I stamped and die cut the butterfly onto a piece of vellum which also helps to create a little hint of the background underneath. 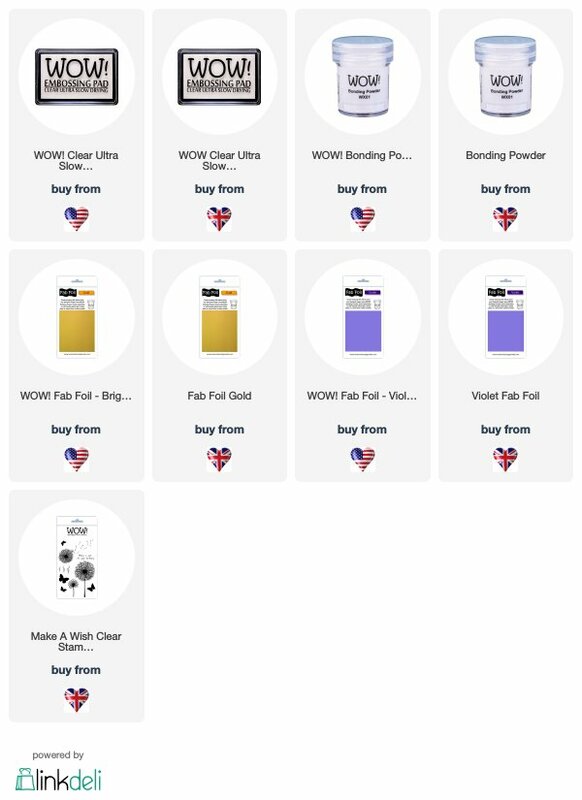 I hope you've enjoyed foiling month. Happy Mothers Day to all the mothers out there, these are for you.